Deputy Secretary Eric Hargan says the initiative is the first time in history HHS has reached to investors to understand what is holding innovation back. The U.S. Department of Health and Human Services is working with Healthbox, a HIMSS innovation company, to reach out to investors and better understand the barriers to innovation. 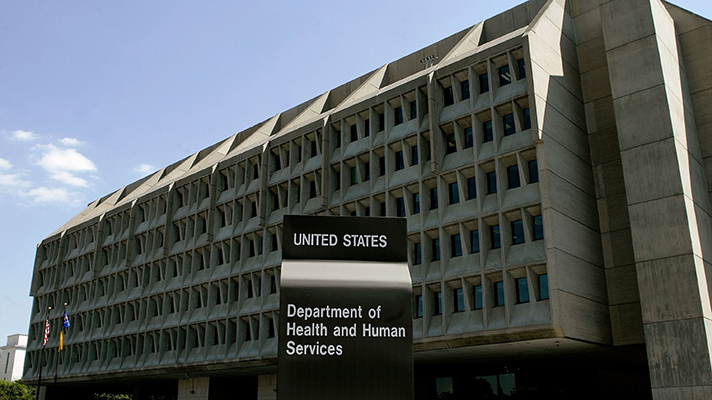 "This is going to be the first time we formally engage the investment community," HHS Deputy Secretary Eric Hargan told Healthcare IT News. "We work with providers, payers, pharma, medical device companies all the time – but we never talk to the people who are funding those to understand their challenges." HHS aims to change that with a series of events, dubbed Deputy Secretary's Innovation and Investment Summit, which was first announced in mid-September to bring together federal officials with investors and innovators. "What we're trying to do is open the doors at HHS regarding investment in innovation," Hargan said. "We see the investment community as important to innovation within the sector and that is going to be a major way we solve the bedrock mission of the department to promote the health and wellbeing of American people." Healthbox President Neil Patel said the summits will convene the perspectives across all of healthcare and Healthbox's role will be to bring its innovation expertise. "One of the challenges will be figuring out what we can feasibly tackle," Patel said. Considerable innovation is happening in healthcare, with an explosion of apps and data on the horizon. But even more is needed in areas such as HIE, interoperability, patient experience and telehealth, for instance – and by many accounts the industry must move faster, because things are something of a mess today. DSIIS will consist of quarterly meetings designed to foster innovation in digital health, life sciences, medical devices, IT and payment systems. At those events, federal officials intend to listen to investors and innovators to ideally gain an understanding of which policies and regulations are getting in the way of funding for emerging technologies. The idea is to find places where HHS has put up barriers that are troublesome and unnecessary, as well as "to make our policies more rational, get rid of duplicative and contradictory policies and to help HHS develop policies and regulations that facilitate investment in the healthcare sector." HHS anticipates a yearlong process to get this from beginning to end, starting in December 2018, Hargan said. The department might be able to move on some ideas quickly, while for others, particularly those requiring legislative changes, it's harder to determine how long that could take. "Right now we're approaching this in an open way because the interaction has not happened so we have to look at it from a 30,000-foot level," Hargan said. "We've never engaged in a process like this, but I think there's probably fertile ground." Investors interested in participating can apply until midnight Friday, October 12, 2018. They should send an email to DeputySecretary@HHS.gov with the subject line "DSIIS Recommendation." The department is also looking for subject matter experts, so send suggestions to the same email address with the subject line "Topic and Subject Matter Expert Recommendation."